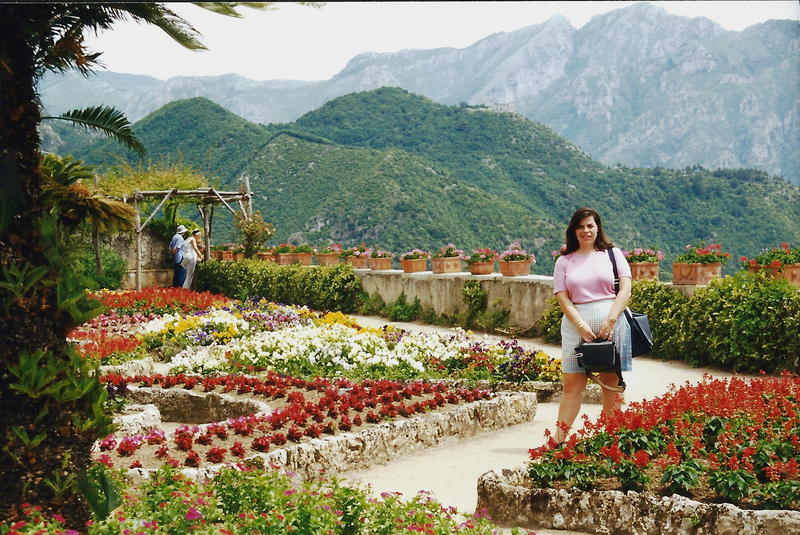 On one of our many trips to Italy, a few years back, we discovered Ravello. What makes Ravello so remarkable is its height, Ravello sits very high above sea level and therefore benefits from the most phenomenal Mediterranean views. It has beautiful gardens, elegant villas, and hosts the famous Wagner Arts Music Festival every year. 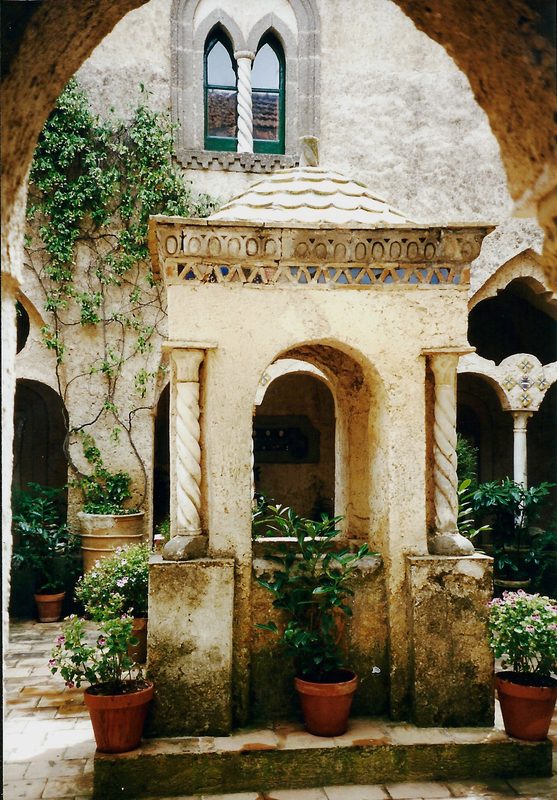 There are so many restaurants to enjoy, luscious gardens to explore, and walks or hikes that take you to discover Ravello’s pathways and trails. 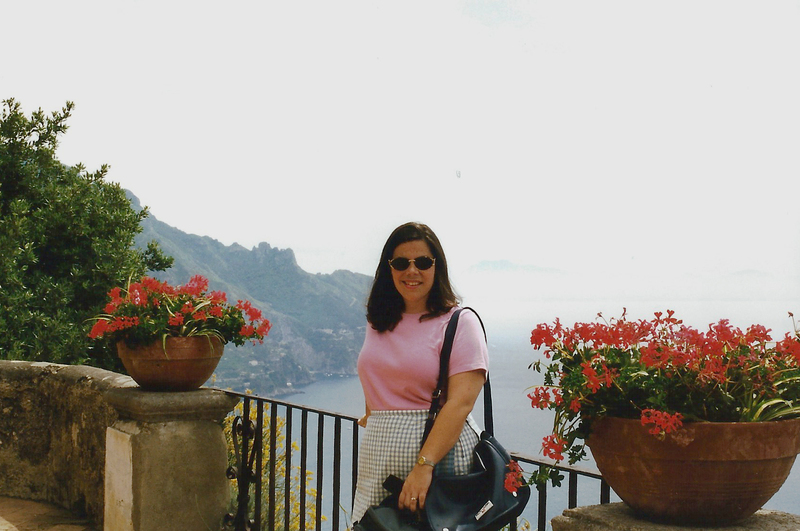 In 1996, Ravello was listed as a UNESCO World Heritage Site. 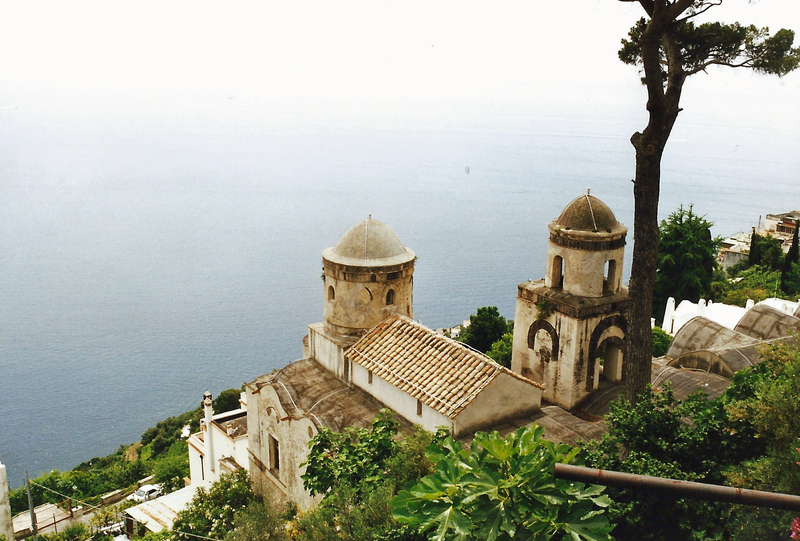 Villa Cimbrone occupies the most breathtaking position on the entire Amalfi Coast, perched high above the sea. 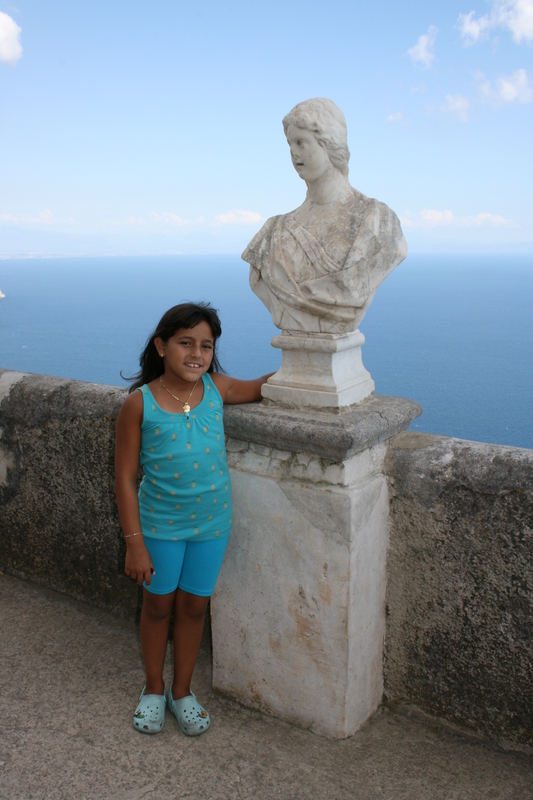 The gardens are what most people visit for, with its many statues, temples, fountains, natural grottos and of course, the spectacular Belvedere of Infinity from which the view sweeps wide to take in a panorama of the coast. 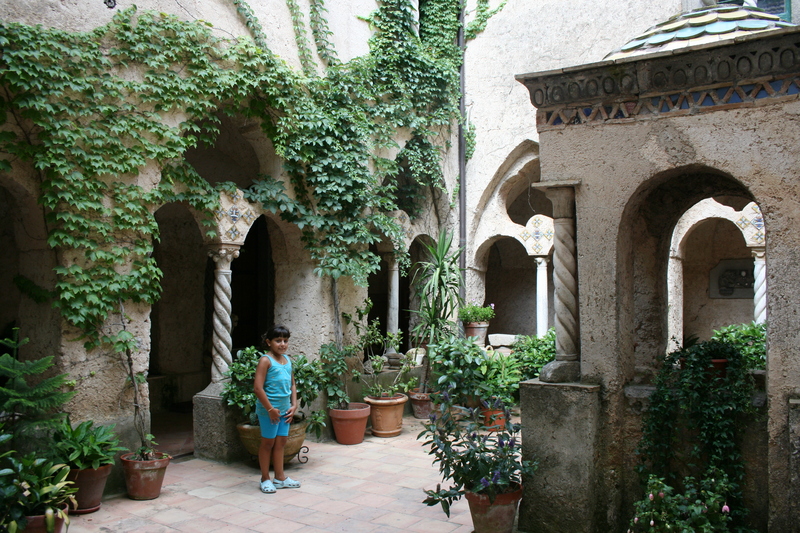 The villa was actually converted into a hotel and is considered by many one of the most beautiful gardens in Italy. 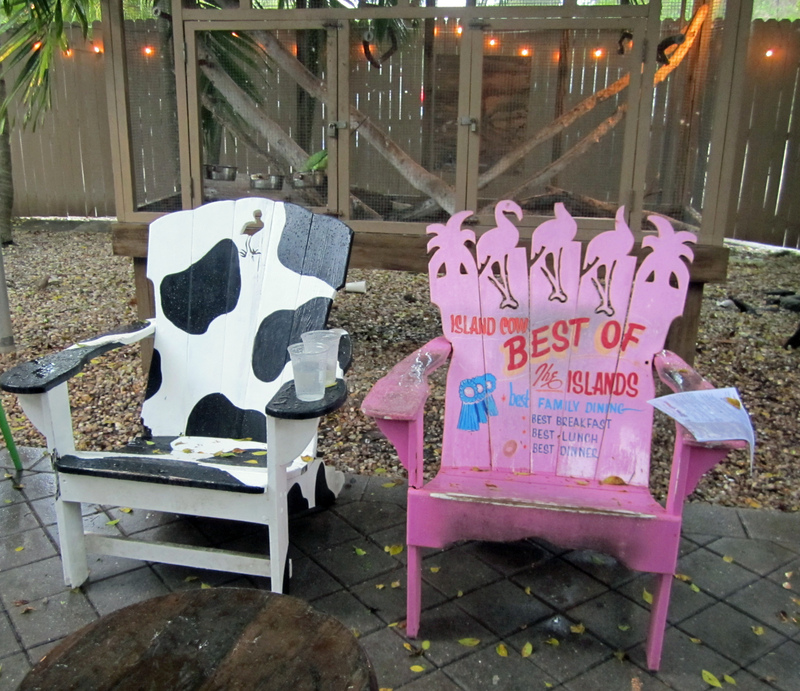 But even if you’re not a hotel guest, the grounds are open to the public for a small fee. 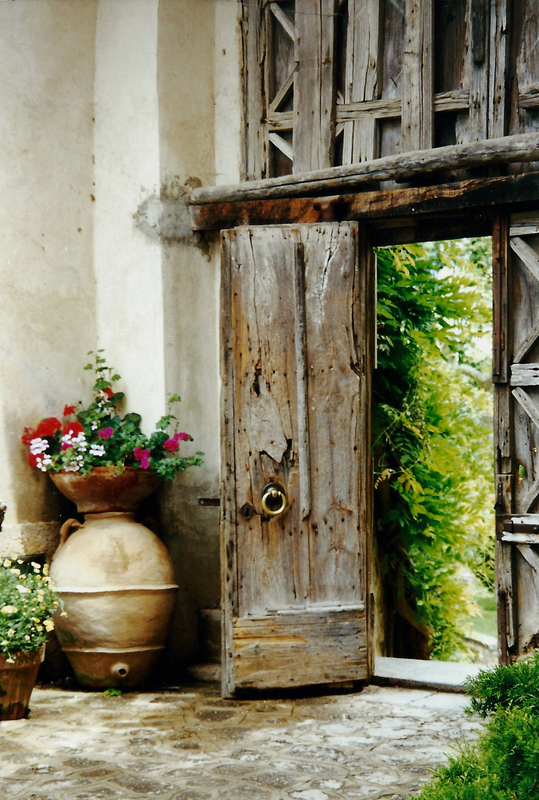 A 14th century tower marks the entrance to this villa, famed for its beautiful cascading gardens. 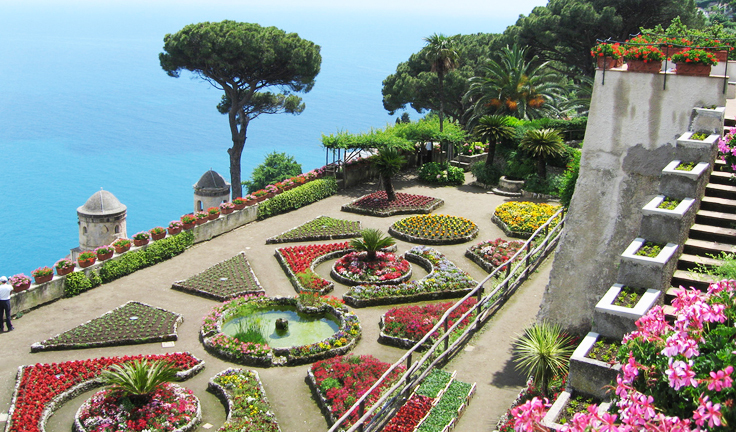 The historic villa located right in the center of Ravello, is one of the most popular travel destinations in Campania. The gardens are truly magnificent, commanding panoramic views packed with exotic colors. It is said that the German composer Richard Wagner was so struck by the beauty of the Villa Rufolo gardens during his visit in 1880 that he used them as the inspiration for the magical garden of Klingsor in his opera Parsifal. Following the pretty pathways through the gardens leads you to the famous Belvedere overlooking the coast. Enjoy the colorful flowers and stunning views looking down the coastline toward the seaside towns of Minori and Maiori. 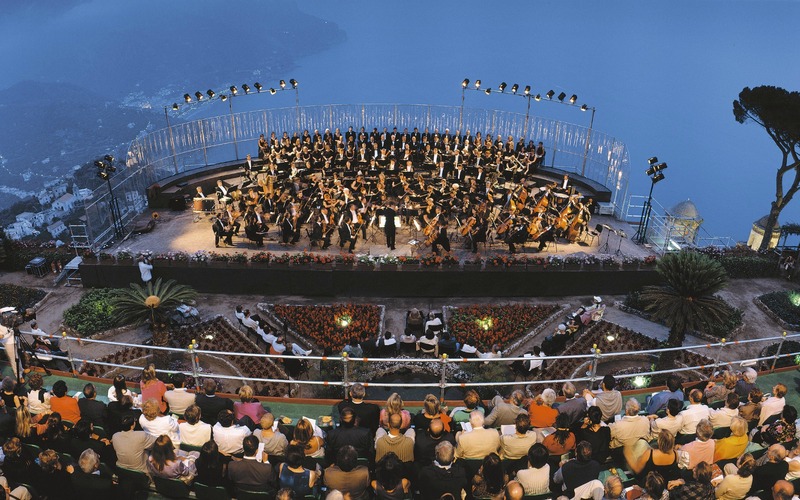 If you visit during the summer months, you’ll find a large stage constructed on the Belvedere where the main concerts of the Ravello Festival take place. Definitely something to experience! 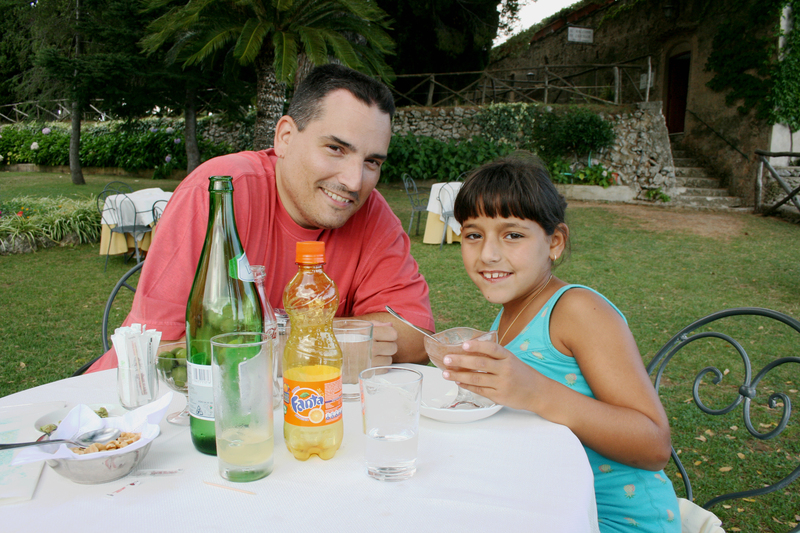 This part of Italy is famous for its lemons, which are very juicy and smell fabulous. Although lemons are used to make the sweet but tangy liquor all over the Amalfi Coast, Ravello is known for some of the best in the area. I always enjoy a glass of limoncello, because I really love the taste, traditionally served as a cold after dinner drink. I even like the creamy version a bit more. 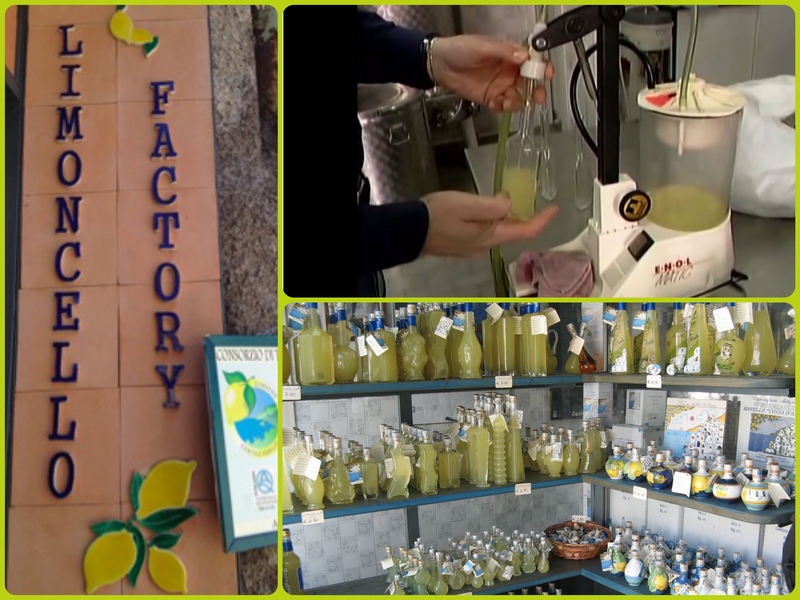 I’ve never had a chance to visit the factory, but f you have the time, you can experience how it’s made and enjoy a nice tasting at the Limoncello Factory (Via Trinità, 37). This town is very charming, but can get quite hot in the summer months. 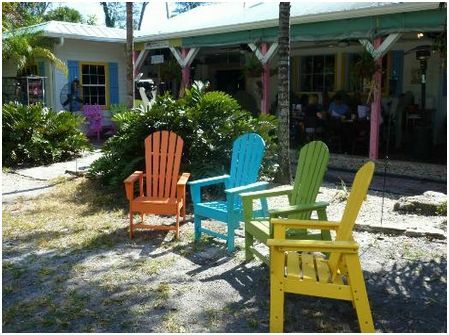 Make sure you stop for a quick snack or a delicious cool gelato while you’re strolling around and taking in the scenery. 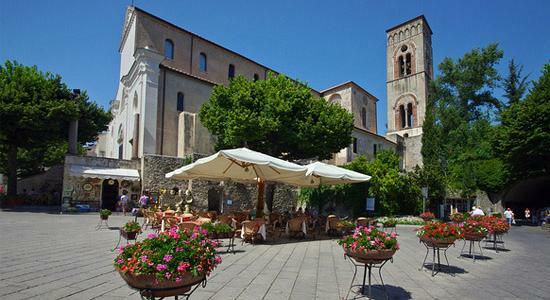 There are many good restaurants and gelato places throughout the center of town. 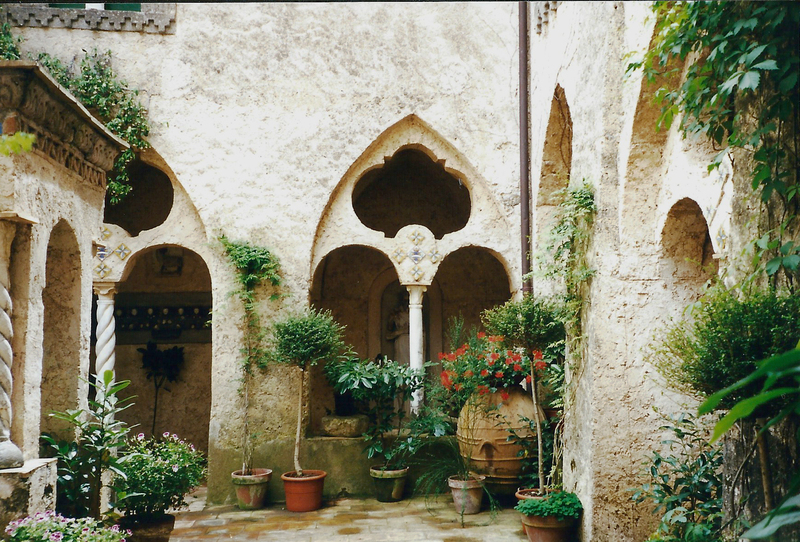 You’ll also love admiring the beautiful rustic architecture of Ravello by following its quiet streets of colored stucco houses, lemon groves and wrought iron gates. 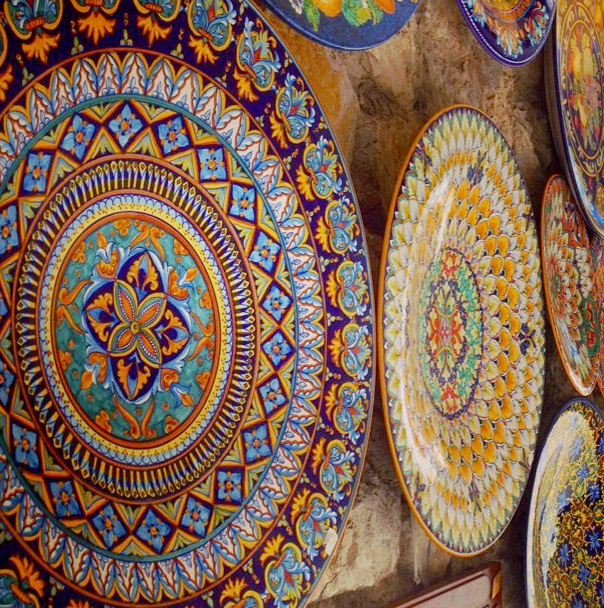 While beautiful ceramics can be found all along the Amalfi Coast towns, what initially brought us to Ravello, was a recommendation of a ceramics shop by a dear friend. 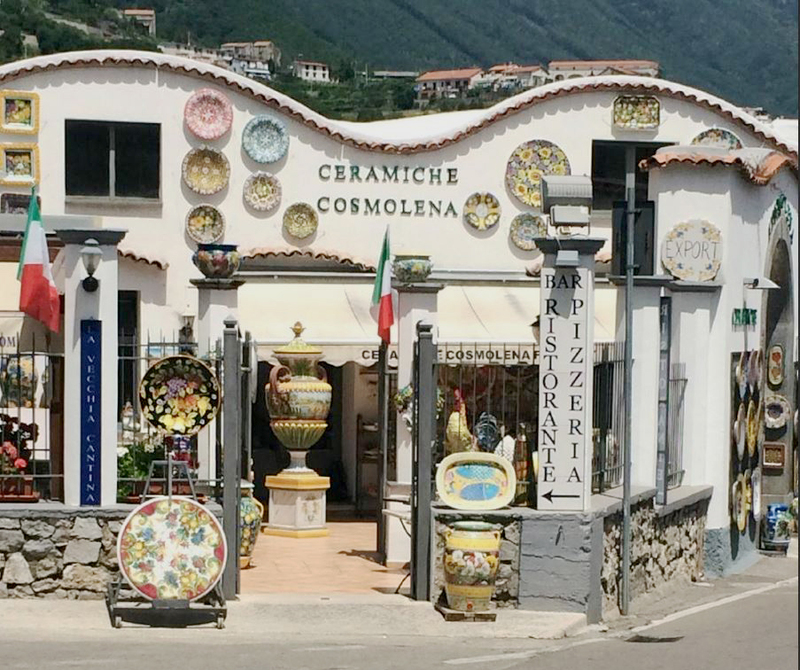 Knowing that I love ceramics, and that I pick up new pieces on every trip, he suggested we visit Ceramiche Cosmolena di Margherita Di Palma (Via della Marra 15/19). Of course, hubby was a bit afraid of this visit, with good reason. 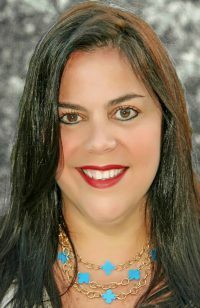 Margherita can sell ice to an Eskimo. 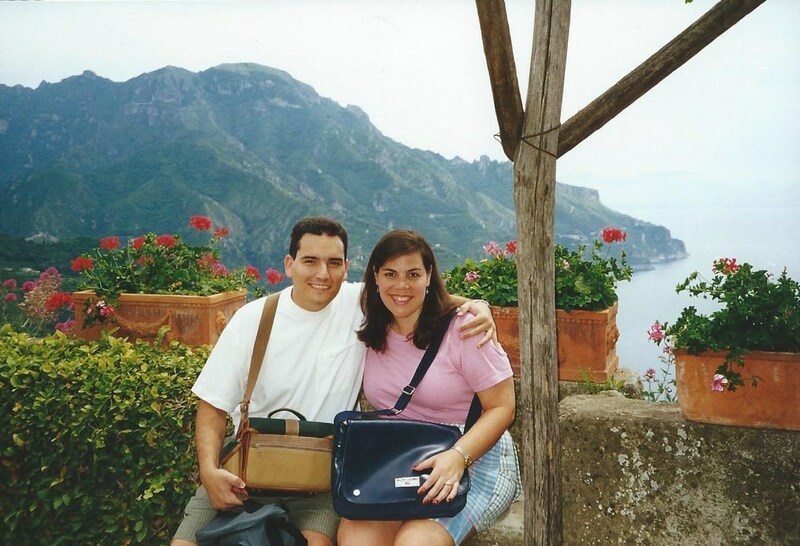 After my first visit there in 1999, she somehow convinced me that I needed to make some purchases and I left with an entire 8 place setting of gorgeous ceramic dinnerware (shipped to our home of course). Did I need it…no, but boy is it beautiful and we use it to this day! As if that weren’t enough, we returned for one additional piece on our 2009 visit, and of course, I left with quite a few more pieces to my set. 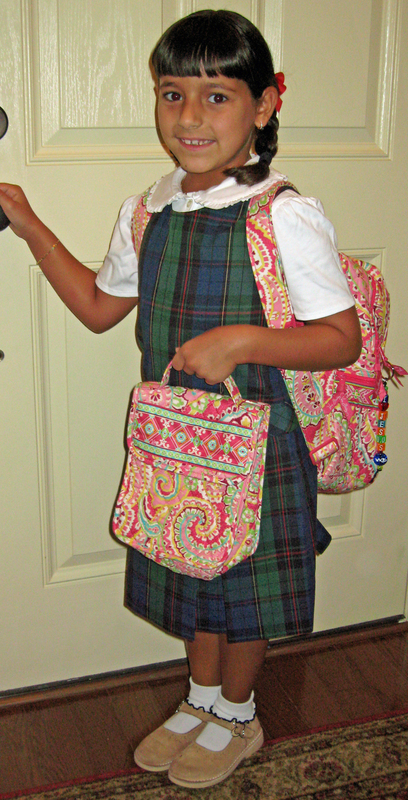 She is charming, but beware, she is a great salesperson and will convince you of buying her entire shop. 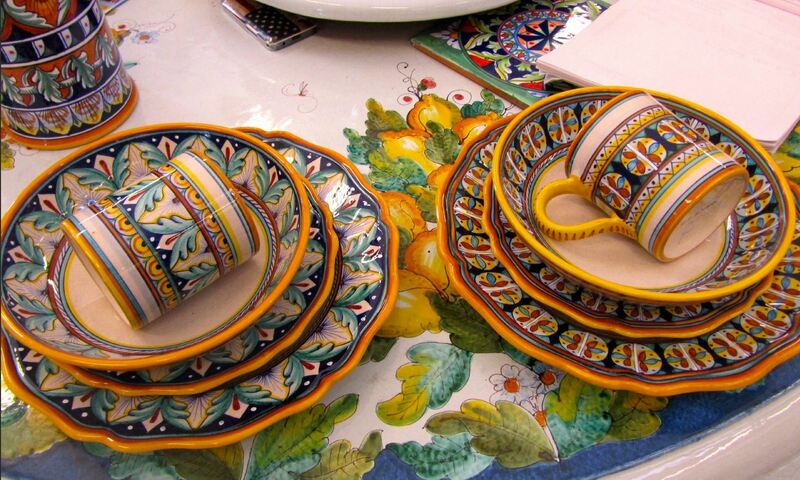 But in her defense, her ceramics and linens are breathtaking! 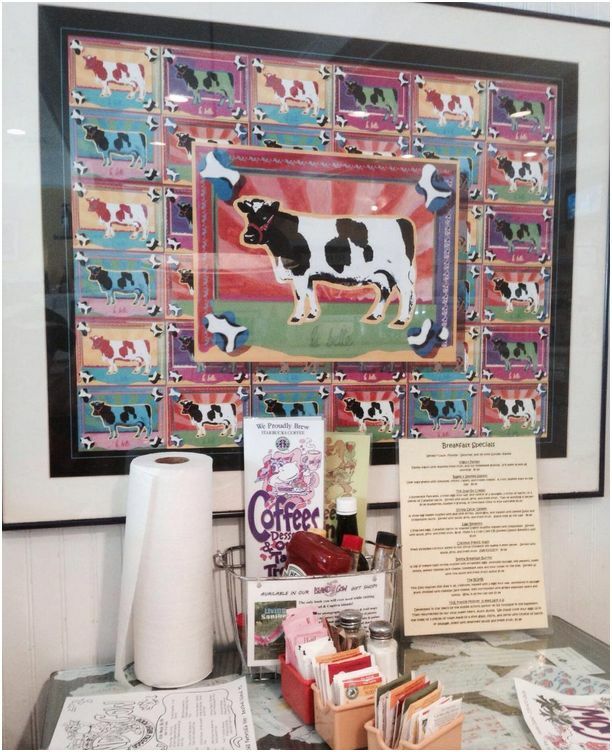 The store displays autographed photos of various Hollywood celebrities with Margherita up on the wall, also prior customers. Ceramiche offers an unbeatable stunning selection of pottery and ceramics that can be shipped to any place throughout the world. 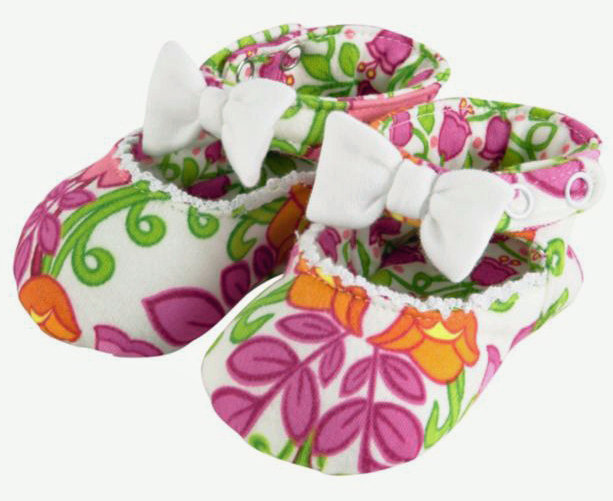 Stop in a take a peek! The beautiful patterns on my dinnerware! 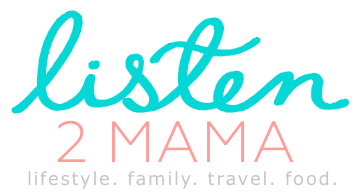 The one thing I would love to experience on my next visit to Ravello is a cooking class with Mamma Agata. 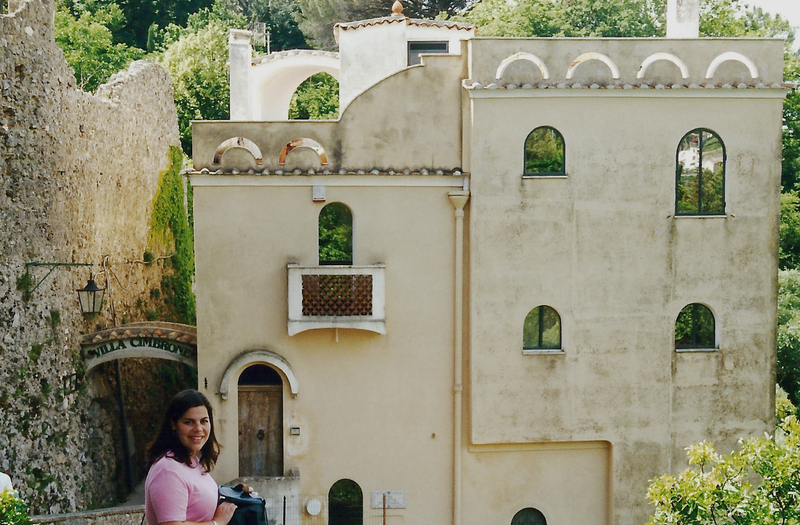 She has cooked all her life and now runs a cooking school out of her home in Ravello, which is quite well-known. She has even cooked for a number of celebrities and has a fantastic cookbook for sale. I found Mama Agata’s recipe for limoncello on a wonderful blog called The Italian Dish, which is loaded with wonderful Italian recipes. 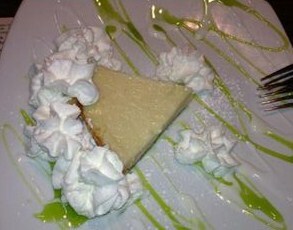 Click here for Mamma Agata’s limoncello recipe. 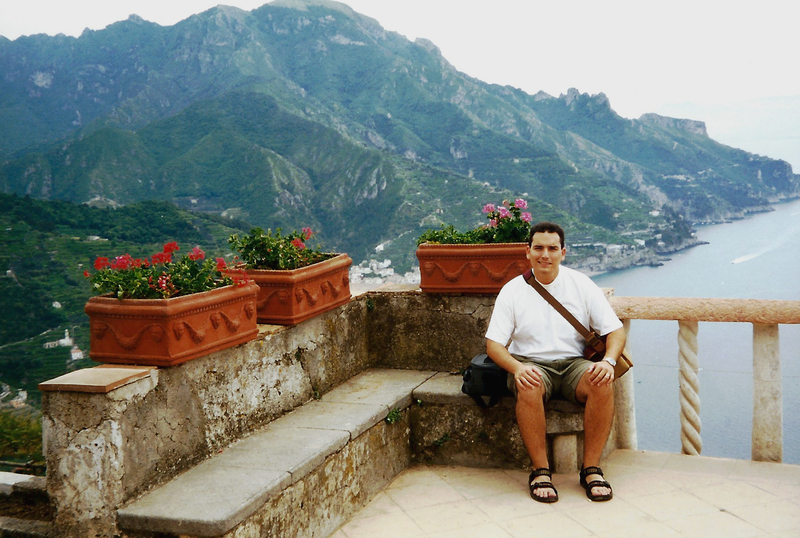 Have you been to Ravello, and if you have, what have you enjoyed most about it? Well, it’s that time again, time to upgrade my computer. My current one is almost 7 years old…yes, you read correctly, 7 years old! It’s so old, I couldn’t even download the free trial version of Photoshop! I know that nowadays, everyone seems to update their toys (phones, tablets, computers), almost on a yearly basis, but I sometimes tend to follow the train of thought “If it’s not broken, don’t fix it” (well not really, I just hate learning how to operate new electronic gadgets). And when it comes to leaning how to operate these new gadgets, hubby is not much help. He hates it even more than I do. Every time I need to upgrade my computer, I always come across the same question…is it finally time to make the switch? Of course, by the “switch”, I mean from a PC to a Mac. Let me start by saying that I love all things Apple. I can’t live without my iPhone, everyone in my house owns one. We also love our iPads and we listen to all our music through iTunes. As my husband says I love Apple, because all of their products are “pretty”. As usual, he’s right. I just love how beautiful the iMac is. But, beauty is not everything. Every time I sit and use an iMac, after 5 minutes, I feel like I need a drink! I don’t like the mouse, I don’t like Safari, and the “windows” all look weird to me…everything is in the wrong place! Then hubby says he “needs” to have a PC at home and he doesn’t like the iMac at all. Now, I know many of you will disagree with me because you love the Macs, and that’s OK. 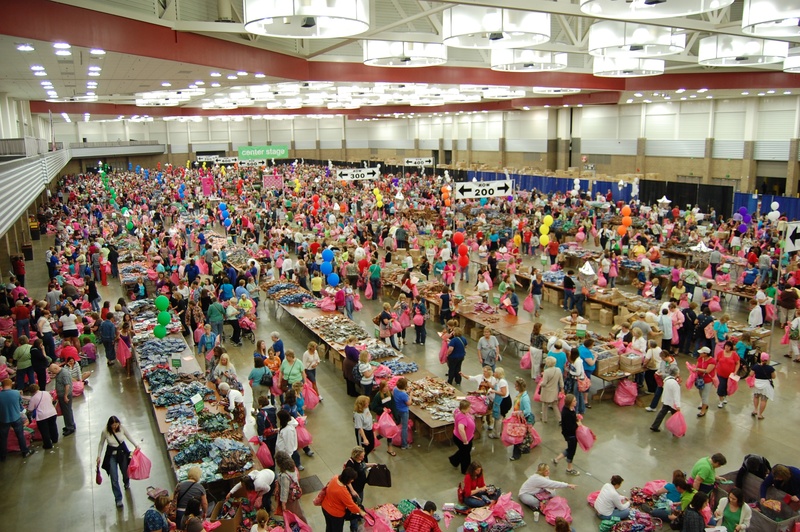 I think there are plenty of computers out there to fit everyone’s needs. So…PC wins again. 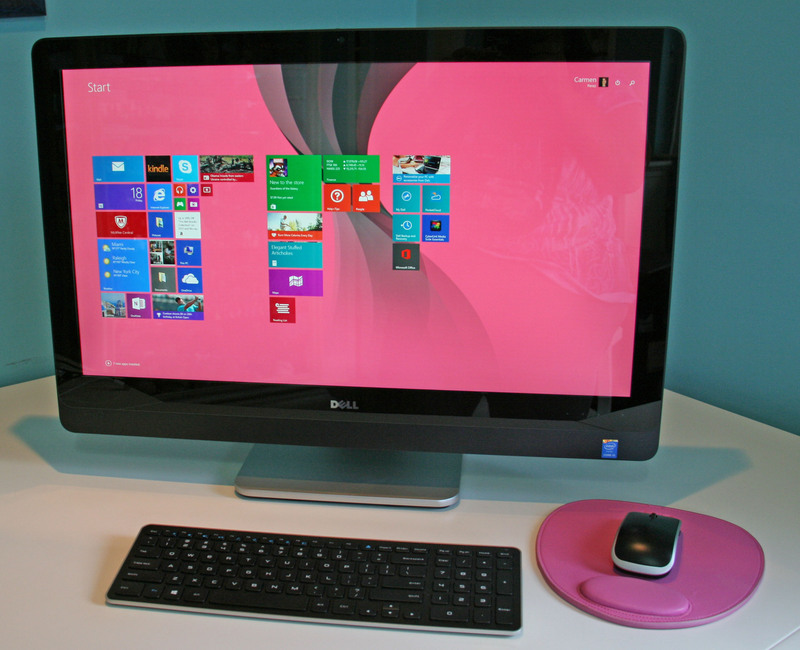 We decided on a Dell All-in-One with a 27″ touch screen. Well, at least it looks a bit like the iMac, but it’s still a Windows platform, which is what we’re used to. Although of course, I think Windows 8.1 will drive me to drink too! 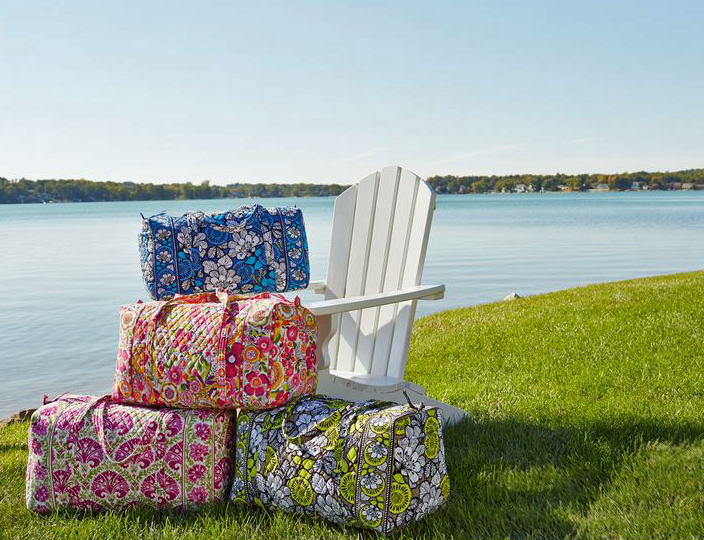 All of those colorful boxes look very “pretty”, but it takes time getting used to. Thank goodness there is still the desktop option. Which do you prefer…PC or iMac??? 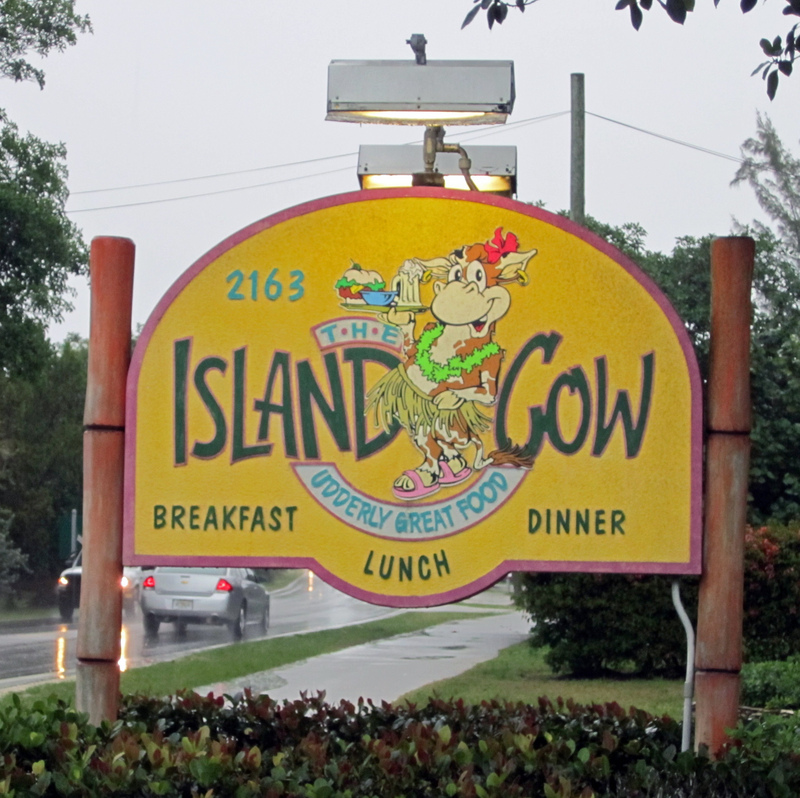 As the summer sadly comes to an end (well it’s always summer in Miami), we made our last official summer ice-cream run last night to our new favorite ice-cream shop. It’s so cool, it’s chillin (the name of the place)! 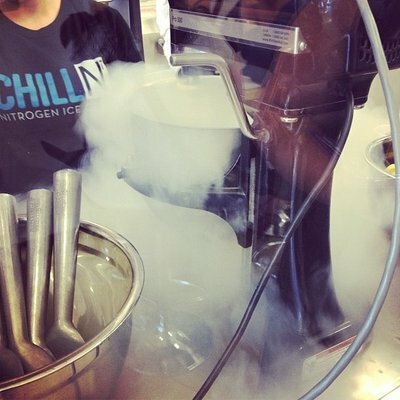 Not only is Chill-N Nitrogen Ice-Cream absolutely delicious, but the way it is made is what really makes your mouth drop. 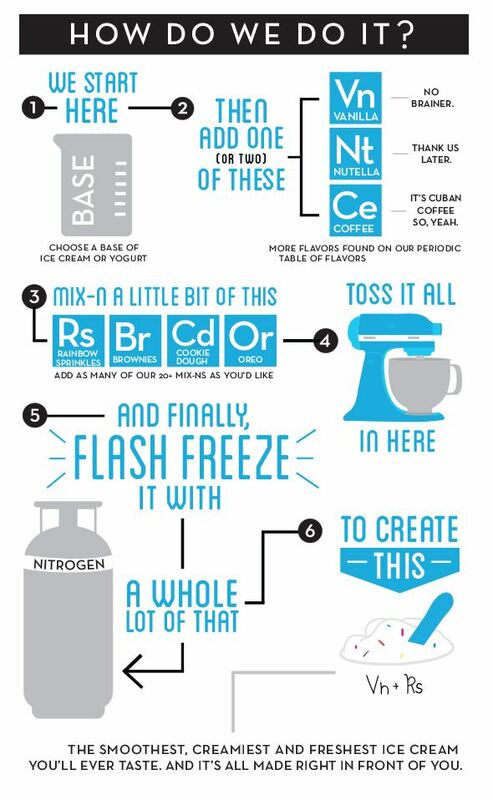 They make their ice-cream with Nitrogen, yes folks, Nitrogen! 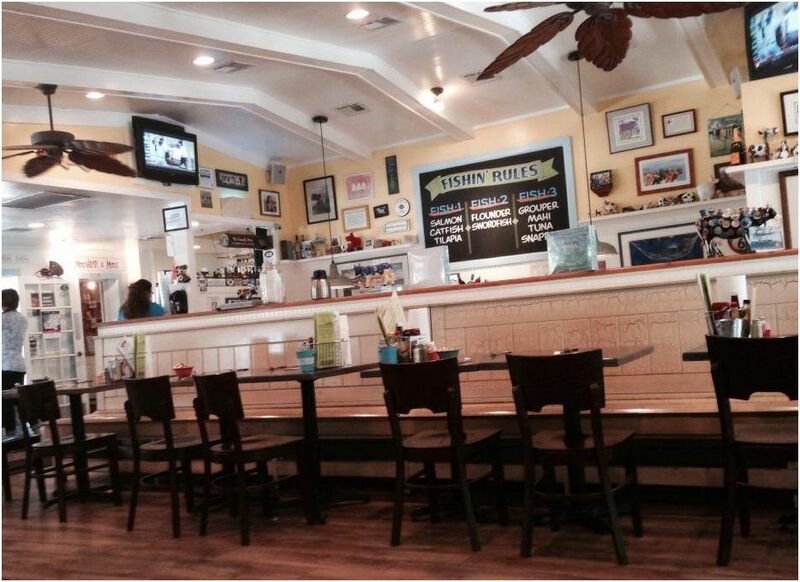 The shop is quite small, but in my opinion, small places are typically the best! 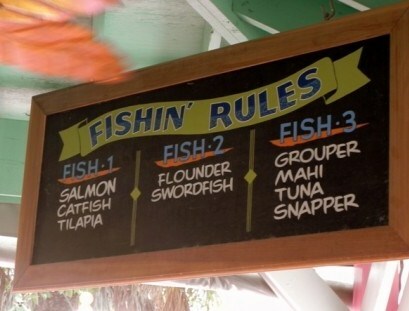 No matter when we’ve visited this place (usually on the weekends), the line is outside the door. 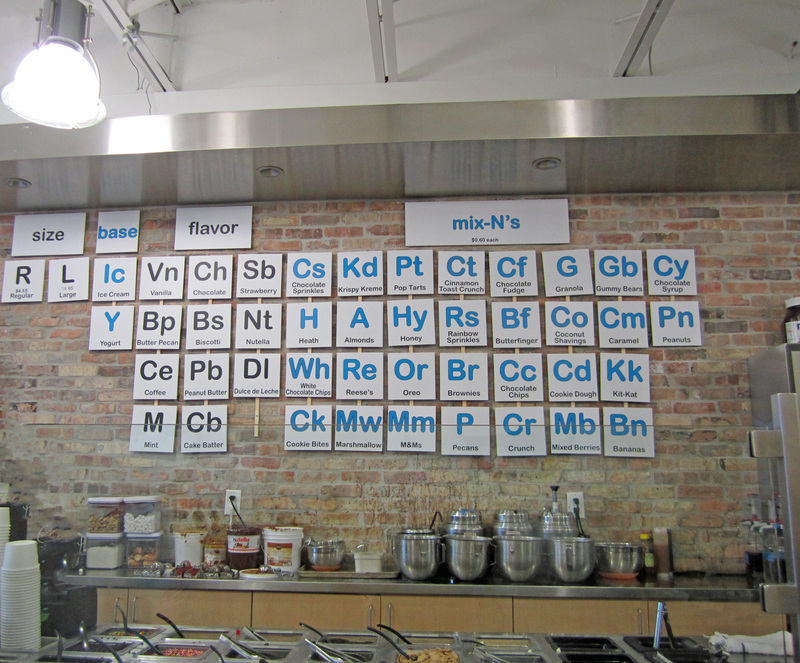 When you first walk in, you will find a cool Periodic Table inspired board of all delicious bases, flavors, and toppings, or as they call them, their mix-N’s…brownie bits, mint, marshmallows, Nutella, cookie bites, white chocolate chips, & much more. You first choose your size of dessert, then whether you’d like ice-cream or yogurt. Next, you choose from over 10 base flavors, and lastly, you get to choose all of your add-ins. Then the magic begins… While regular ice cream is frozen over night or frozen instantly through commercial freezers, nitrogen flash-freezes the liquid base as it is churned. The nitrogen makes the ice cream really cold, and since it’s all prepared as you watch, you can see the nitrogen fog pour out of the mixers. It’s all really cool, and even the adults in line are watching the process in amazement! The only drawback is that since the ice-creams are made fresh on the spot, you can’t try the different flavors. But no worries, I’m sure any combination you come up with will be heavenly! 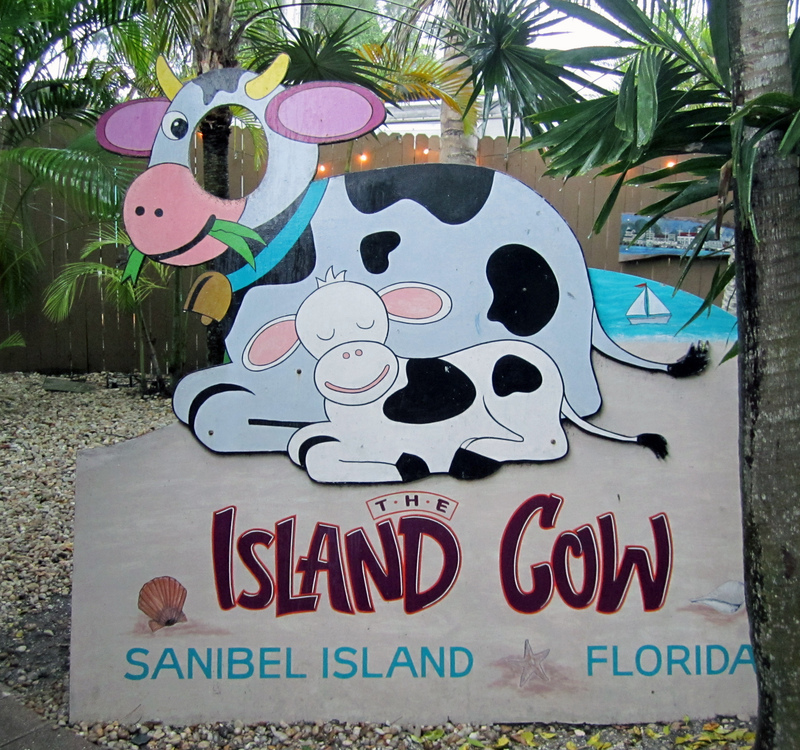 The first time I visited I got the cake batter ice-cream mixed in with the Oreos and cookie dough (now my daughter’s favorite). 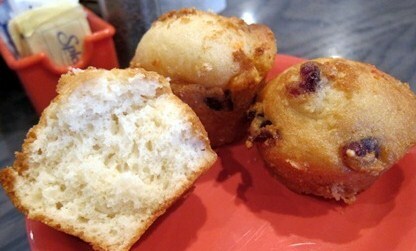 Another favorite of mine is strawberry ice-cream mixed in with white chocolate chips. Absolutely delicious, I’ve never tasted creamier ice-cream!